The discussions centered around the topics of the future of the European Union, strengthening the role of the national parliaments within the EU and the challenges facing the EU. The practical possibilities of cooperation in the V4 format, which would influence a better understanding of the societies of the V4 countries, were also discussed. 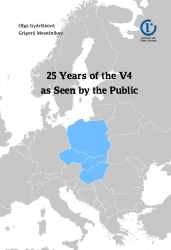 To commemorate the 25th anniversary of the V4 a square in the center of Przemyśl was given the name of Visegrad. The following issues were discussed: Russia, both in the context of the conflict in Ukraine as well as Russia's policy in the Middle East; EU–Turkey relations; illegal migration; implementation of the Global Strategy of the EU. The meeting was focused on the following issues: drafting of the joint V4+4 non-paper on cohesion policy after 2020; possible common V4+ strategic projects; discussion on common brochure on the impact of cohesion policy in V4+ countries; benefits of V4 cohesion policy to EU15. The "V4 Good Government Forum" meeting was attended by deputy ministers and representatives of V4 countries, Bulgaria and Romania. Cooperation with the self-government administration, reforms of the administration procedures and creating a citizen-friendly administration were among the topics discussed. Mr. Jan Widera, Undersecretary of State in the Ministry of Sport and Tourism of Poland was the host of this annual V4 meeting. Participants discussed the tournament competitions accomplished in a given year, as well as competitions planned for the following year. The participants were also informed about the new program, specifically dedicated to Polish organizers and participants of the tournament, which will commence in 2017. In the margins of the EU–League of Arab States Ministerial Meeting, Foreign Minister Waszczykowski presided over consultations between V4 foreign ministers and Egypt, which reaffirmed the huge potential of economic, political, cultural and tourism cooperation. V4 states noted Egypt’s stabilising role and significance as a partner in countering illegal migration, terrorism and Islamic radicalism in the Middle East and Africa. The Ministry of Economic Development organized a meeting of V4 experts from institutions involved in Interreg programmes implementation, with the participation of European Commission (EC) representatives. The meeting was devoted to the issue of the future of territorial cooperation in Europe beyond 2020. Participants discussed the goal and extent of the Interreg cross-border cooperation programmes, with particular emphasis on the question of strategic approach to the programming of future cooperation. The meeting in Zakopane was a chance for the V4 and the EC representatives to make their views known on strengthening and expanding the scope of cross-border cooperation in Europe. Participants focused also on possibilities of increasing the visibility of its results and better coordination with other programmes, i.a. regional and national ones. One part of the discussion concerned the mechanism of financial means allocation to Interreg programmes, the possibility of creating a single set of rules for territorial cooperation and therefore a separate set of indicators for Interreg. Experts had an informal exchange of views and opinions, particularly useful at the early stage of internal preparation of EC’s and each V4 country’s position on the future of Interreg beyond 2020. Prior to the Foreign Affairs Council session, Minister Waszczykowski met with his V4 counterparts. “We have taken stock of the first six months of Poland’s presidency, and discussed plans for the second half-year,” said the chief of Polish diplomacy. He pointed to further concentration on the European agenda and closer socio-economic ties as some of the most important fields of cooperation. The discussion focused on the issues of the EU–Lebanon relations, terrorism, the situation in the Middle East region, with particular emphasis on Syria and the situation in Ukraine. During a visit to Beirut, V4 Political Directors also met with Wojciech Wilk - the President of the Polish Centre for International Aid, responsible for, projects supporting in Lebanon refugees from Syria, and with the head of the UNHCR branch, M. Girard. The purpose of the seminar, organized by the Polish Ministry of Development, was to exchange experience on financial management and control within the ESF Programmes. Procedures used in different Member States were compared. Different attitudes of MSs in relation to verification of payment claims and on-the-spot controls were discussed. It was noticed that used solutions depend on many factors, especially the value of allocation of ESF in operational programmes and Member States and number of implemented projects. In conclusion it was stated that it is crucial to find a golden balance between quantity of verifications and controls and their quality, mainly their accuracy and specificity. The meeting served as a follow-up to the decision of V4 ministers of interior adopted on November 21, 2016, establishing the Mechanism. The conference was organised by the Ministry of Maritime Economy and Inland Navigation of Poland. The V4 ministers responsible for water transport, experts and European Commission representatives discussed the significance of the inland navigation for the international transport and economy. The Polish, Czech and Slovak ministers took this opportunity to sign the Memorandum of Understanding related to the cooperation on developing inland navigation, including Danube–Oder–Elbe waterway project. The main aim of the meeting organized by the Ministry of Economic Development of Poland was to finalise the drafting of the common V4+4 document regarding Cohesion Policy after 2020 and to discuss the agenda and topics for ministerial debate during the ministerial meeting planned for March 1–2, 2017. During their coordination meeting organized before the informal EU-27 summit the V4 heads of governments discussed the following topics: migration, EU reform, Brexit, energy and climate. Ministers for digital issues and heads of regulatory agencies (bodies) for telecommunication sector from V4 states signed the declaration of cooperation in the area of revision of the legal framework for telecommunication sector ("Common paper of the Visegrad Group on the Commission Proposal for the European Electronic Communication code"). The document indicates and describes aspects of the review, which will be covered by intensified cooperation of the V4 countries. Before the start of the meeting, the head of Polish diplomacy met with his counterparts from the Visegrad Group countries. The topics discussed by the ministers included the current agenda and the planned meetings within the V4+ formats. The discussions also focused on the European Union Advisory Mission to Ukraine (EUAM), whose objective it is to support the civilian aspects of security reform in Ukraine. Minister Waszczykowski expressed his hope that the EUAM would be expanded, including through the opening of two new offices (in Odessa, Dnipro) and the extension of the mandate of the Mission by two years. Heads of MFA planning and strategy department held consultations together with experts from the Think Visegrad (V4 think tanks) platform. The meeting focused on the situation in the V4 neighborhood. The discussion concentrated on security in Black Sea and Mediterranean Sea regions, security in the Middle East, foreign policy of the USA, Russia and China and European Global Strategy and regional cooperation. The meeting was chaired by Dawid Lasek, Undersecretary of State at the Ministry of Sport and Tourism of Poland. Participants exchanged information on the situation in the tourism sector and presented their views on development of tourism in the Visegrad Group countries, the impact of the “sharing economy” on tourism and the implementation of Directive (EU) 2015/2302. The first day was concluded with the signing, by representatives of the national tourism organizations and other relevant entities, of the Joint Marketing Plan for 2017. The cost of activities planned to be implemented this year is expected to amount €315,000. The accumulation of funds will be of benefit to all V4 countries. The marketing plan covers USA, Russia, India, Latin America, Belarus, Kazakhstan, South Korea and China. The participants discussed the issues of the European Neighborhood Policy, the Western Balkans, Russia and the conflict in Ukraine, relations Turkey–EU and NATO, as well as the situation in the region (Syria, Iraq, Iran) and terrorism. The representatives of youth ministries from V4 and EaP countries, as well as National Youth Council representatives, young activists, National Agency for Erasmus+, representatives and national coordinators of the Council of Europe youth campaign for human rights “No Hate Speech”, as well as other experts in this field were invited to the meeting. The activities and projects to be carried out by young people in the context of promoting human rights and activities carried out in the framework of the “No Hate Speech” campaign of the Council of Europe were among main topics. The members of V4 parliaments discussed, with participation of representatives of think-tanks and academia the following topics: “Implication of Donald Trump’s presidency for the EU eastern policy. Challenges for security policy in Europe” and “Southern neighbourhood: migrations, problem of terrorism, conflict in Syria, relations with Turkey”. On March 1–2, 2017 in Warsaw, Ministry of Economic Development of Poland organized the meeting of V4+4 ministers responsible for cohesion policy. The main aim of the meeting was to adopt the V4+4 joint paper on cohesion policy after 2020 and to present a promotional brochure on results of cohesion policy. The participants also exchanged views on the shape and structure of the cohesion policy post 2020. The ministers participated in a joint session with Commission for Territorial Cohesion and EU Budget (COTER) of the European Committee of Regions, to discuss the most pending issues related to cohesion policy. Heads of governments of the Visegrad Group countries adopted a declaration on the future of Europe, which will be presented at the EU summit in Rome. Among the most important postulates it includes: the need for reform of the EU, preserving the unity of the Union, to strengthen the democratic control. The V4 agriculture ministers met in Warsaw in the margins of the PM summit to discuss food safety and quality within the Single Market. The serious problem that arises with the different quality of food sold in the European Union and the inequality of treatment of the various markets was recognized and a working group to deal with this issue was established. The Ministers of 6 countries signed the Memorandum of Understanding on cooperation in the area of ​​fair and affordable medical products. As a political declaration it is a starting point for further work at the level of experts from signatory states. Another issue discussed during the meeting was devoted to the challenges arising from migration of medical personnel from the countries of Central Europe. the International Visegrad Fund and its activities in 2017. The MFA’s Directors for Security Policy discussed further prospects for relevant V4 cooperation at NATO, OSCE and the EU. The ministers discussed current issues relating to the functioning of the European Union, security and defence, including in the context of Russia’s actions, and relations with the United States. The future of the EU was also an important topic of discussion. Both the V4 and the Benelux countries have prepared joint regional proposals for the Rome Declaration which is to be adopted on the 60th anniversary of the signing of the Rome Treaties. Minister Witold Waszczykowski also urged the foreign ministers to support the candidacy of Jacek Saryusz-Wolski for the position of European Council President. The foreign minister of the Netherlands, the country currently holding the presidency of the Benelux Union, was the host of the Brussels meeting. The agenda of the meeting included following topics: strengthening of the Visegrad dimension of parliamentary cooperation, prospects of expansion of parliamentary cooperation in the region, intensification of economic cooperation, promotion of the Visegrad Group. The participants plan to discuss the issues of regional and transnational cooperation, the cooperation in the area of ​​education, as well as the political situation and the future of the Eastern Partnership in the context of the Partnership Summit scheduled for November 2017. The infrastructural connections between the EU and EaP countries and the political situation and the future of the Eastern Partnership are planned to be discussed. The V4 Heads of Government will take part in the opening of the Central & Eastern Europe Innovators Summit, during which they will sign a Joint declaration of intent on mutual co-operation in innovation and digital affairs. During the conference on the future of agriculture in the EU and the planned changes of the Common Agricultural Policy, a working consultations between the V4 ministers of agriculture and Phil Hogan, EU Commissioner for Agriculture and Rural Development will take place. The meeting is to be organized in the frame of the Impact’17 conference. Consultations will focus on the exchange of views about the European Research Area (in particular on H2020+) and European Higher Education Area. First meeting of the expert working group for assessing the legal status of trade in agricultural land in the EU Member States, set up during the meeting of the V4+ Bulgaria, Romania and Slovenia Ministers of Agriculture on October 25–26, 2016 in Warsaw.